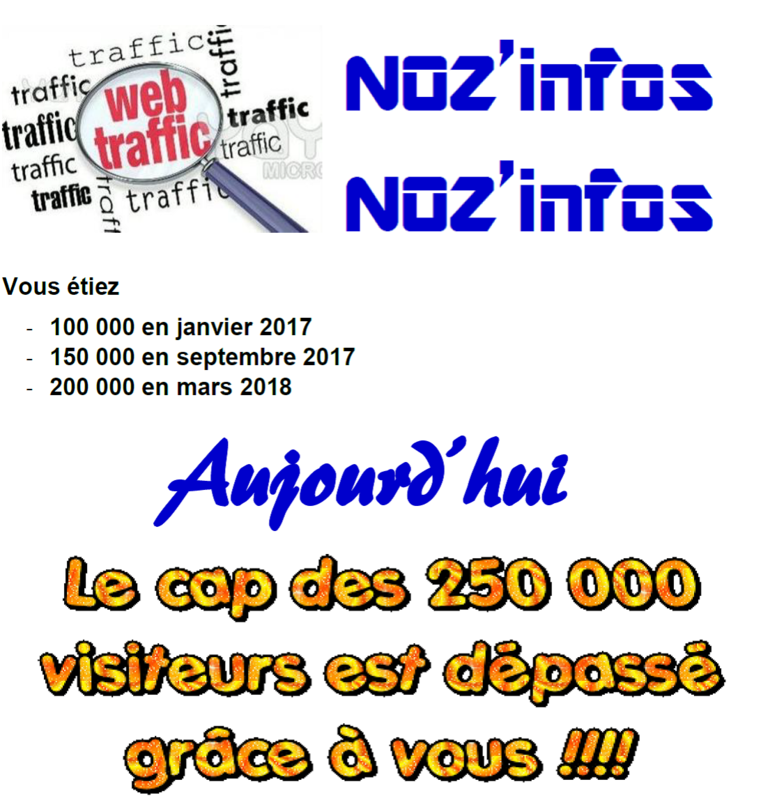 This entry was posted in FLASH INFOS and tagged noz'infos, visiteurs. Bookmark the permalink. dos cent cinquanta milla : enorme, splendid, fabulous, wonderfull, fou gn’in mai! ma si veire s’arrestarant pas!